K. Brunini Jewels › K. Brunini.com is awarded MarCom Platinum award for website design! 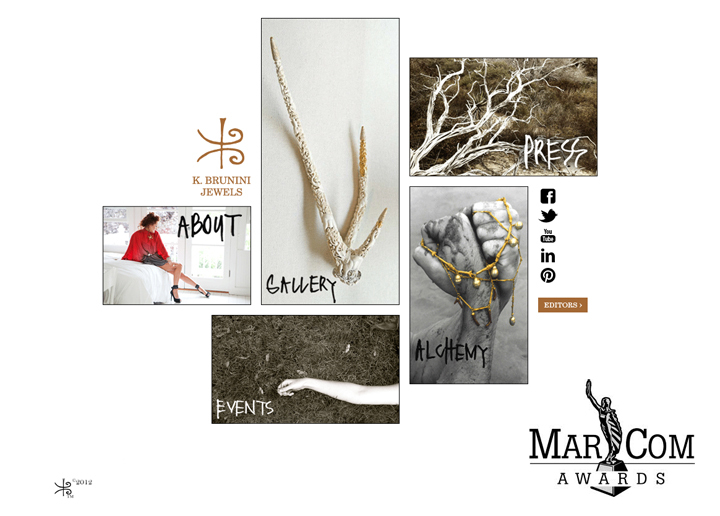 Of more than 6,000 entries from around the world, K. Brunini Jewels was awarded MarCom’s Platinum award for excellence in website design for their newly redesigned website, www.kbrunini.com. K. Brunini & their marketing agency, The Articulation Agency, were pleased to receive MarCom’s highest honor. Each year, MarCom recognizes companies whose talent exceeds a high standard of excellence &whose work serves as a benchmark for the industry. Cheers to Gretchen Bayer & The Articulation Agency!